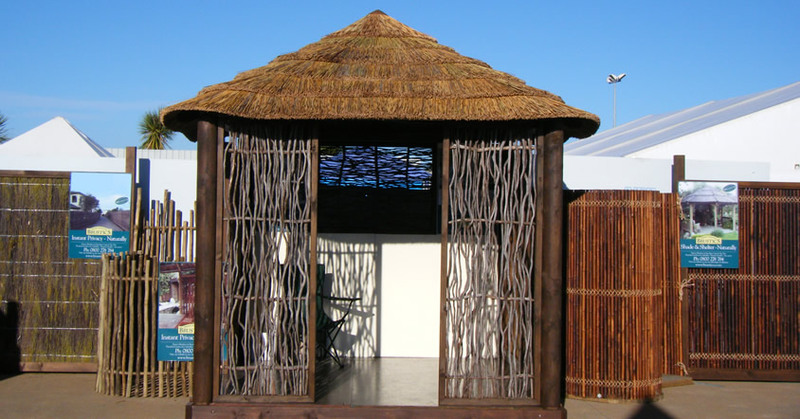 Nothing has quite the ambience, insulation and ease of installation of our natural thatch tiles. 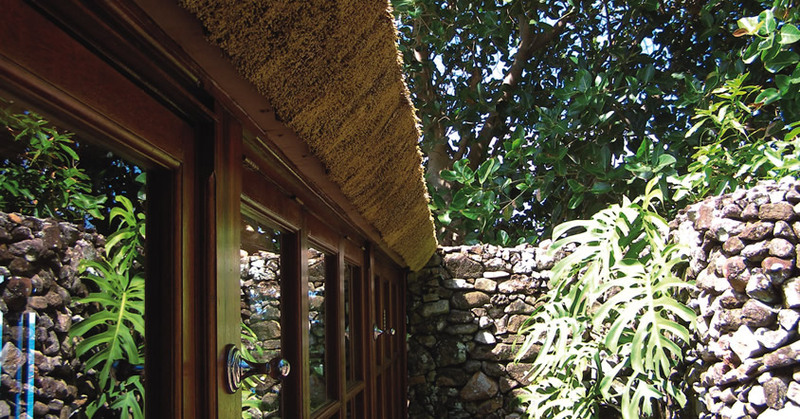 Because it “breaths” temperatures under a thatch roof are typically 10-15% cooler than summer ambient temperatures. The natural tiles when installed correctly will provide a roof that is 98% waterproof i.e. there will be the odd drip in continuous rain. 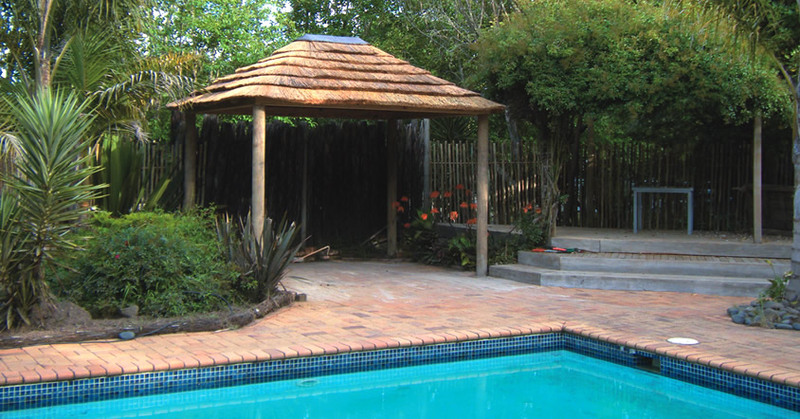 Because it “breaths” temperatures in summer under a thatch roof are typically 10-15% cooler than ambient temperatures. Natural tiles should not be installed over ply, iron etc as the surface touching the ply will remain wet and they will deteriorate faster typically 3-4 years. The natural tiles have an “expected” life of 5-7 years (if they are under trees or wet all the time then they will deteriorate faster). Once a year the thatch should be “groomed” to remove dust and dirt and loose reeds, and may need a spray with insecticide at 2-3 years. 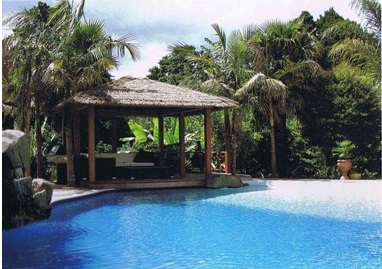 Typically in the North Island’s “wet” climate they will require replacement at about 6-7 years. A discount of 10% is provided for re-thatch. 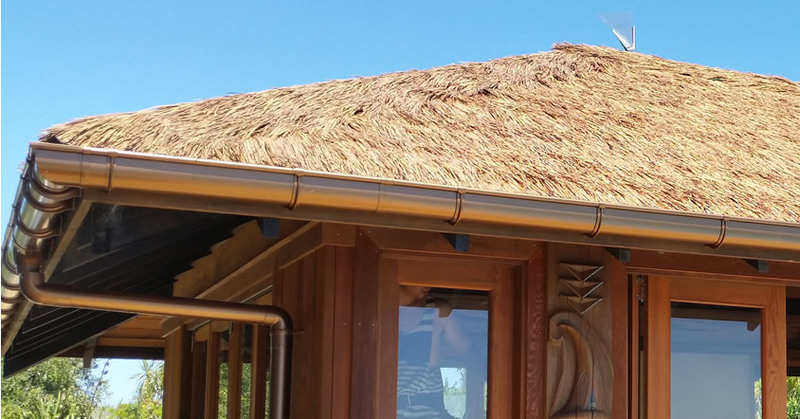 HOW WATER PROOF IS NATURAL THATCH? The natural tiles when installed correctly will provide a roof that is 98% waterproof i.e. there will be the odd drip in continuous rain. 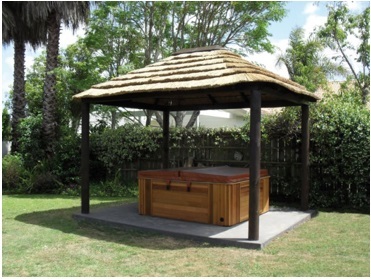 Why Should you choose Brustics Natural Thatch? 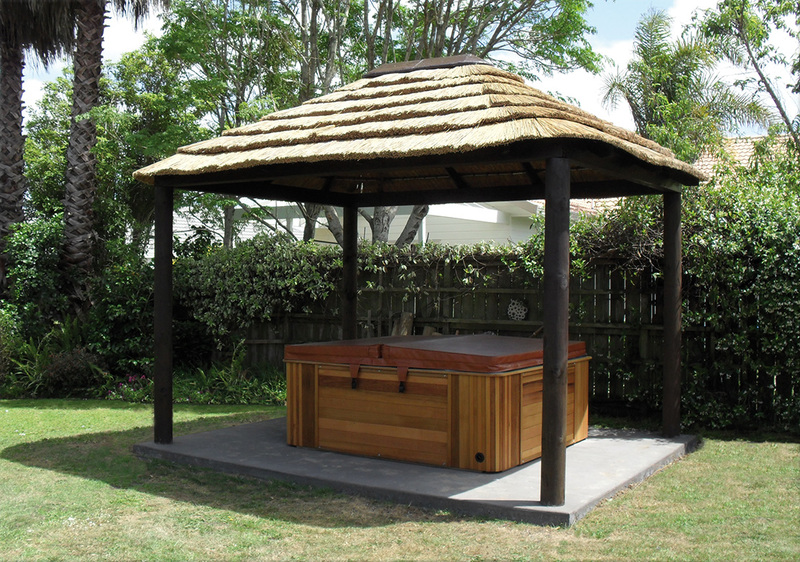 Natural Thatch will typically have a life of 5-10 years in New Zealand conditions and correctly installed will be “98%” waterproof – i.e. you can expect the odd drip of water if it is raining, so if you are wanting to install electrical equipment use one of the synthetic tile options over ply. 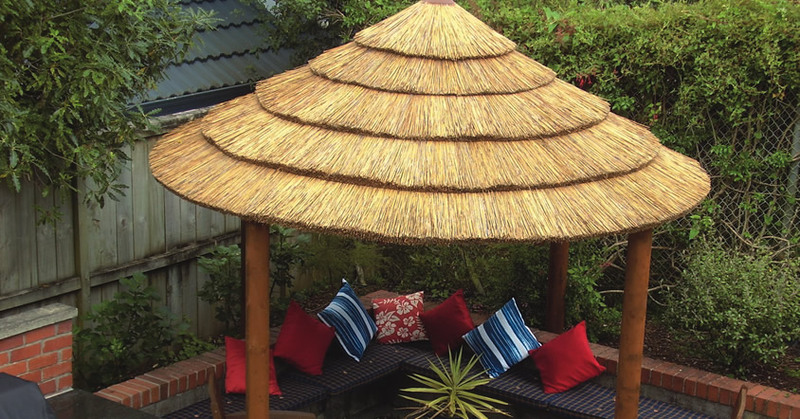 Thatch roofs are the perfect outdoor shelter providing cool shade – typically 10˚ cooler than the outside temperature – and shelter from the rain. They will withstand exceptionally high winds and are built from renewable materials. The tiles can be clipped onto an 8mm steel rod or nailed onto wooden purlins. There are 4 different styles of tile. The spacing of tile determines the area they cover. 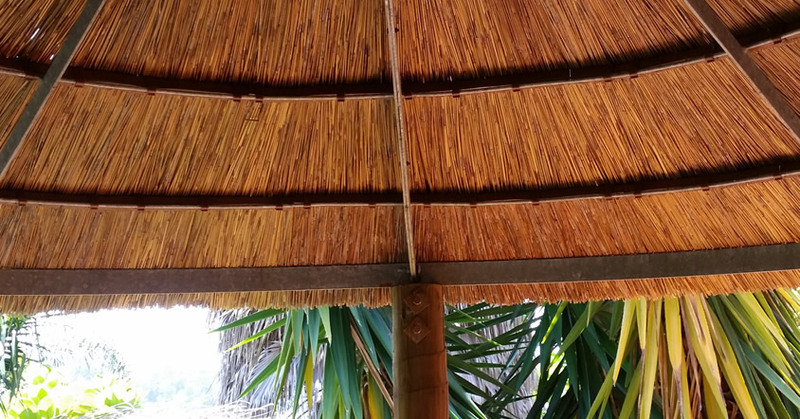 With the Standard and SynPalm tiles, we recommend spacing between the rows of 300 - 350mm; this is reduced to 250mm for the Tropical and SynReed Thatch Tiles. i.e. more Tropical and SynReed thatch tiles will be used to cover the same area compared with Standard or SynPalm. Standard tiles – The layered look. They are thicker and have a greater overlap cover than the other tiles therefore they are the most efficient tile option. 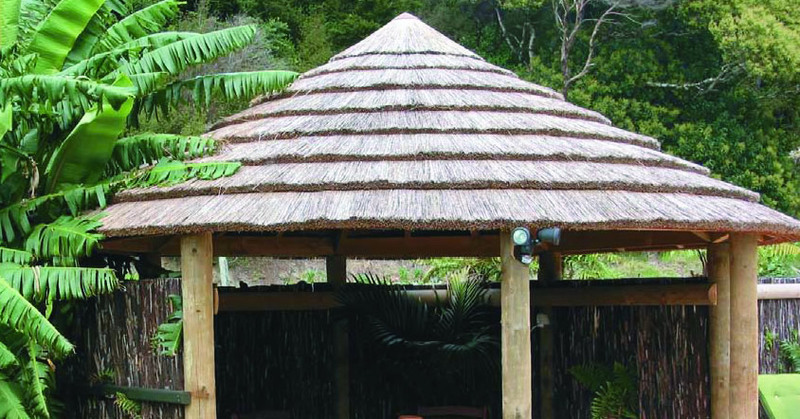 Tropical tiles – These ‘varigated’ tiles give flat outer roof surface, and can be installed to provide a traditional Tropical thatch or European (square edge) look, depending on the style of installation.